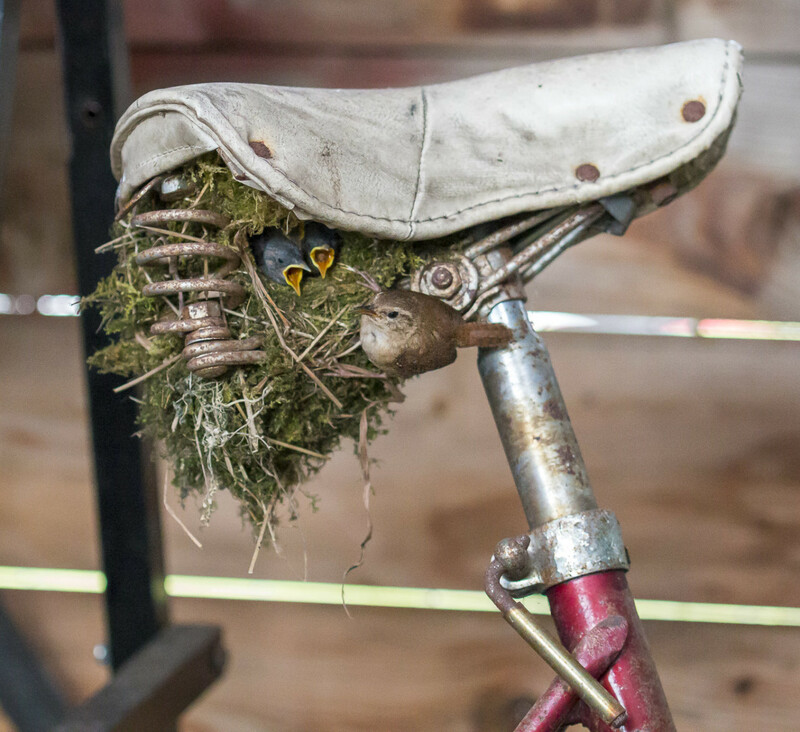 Wren Builds Nest In Old Bike Saddle. 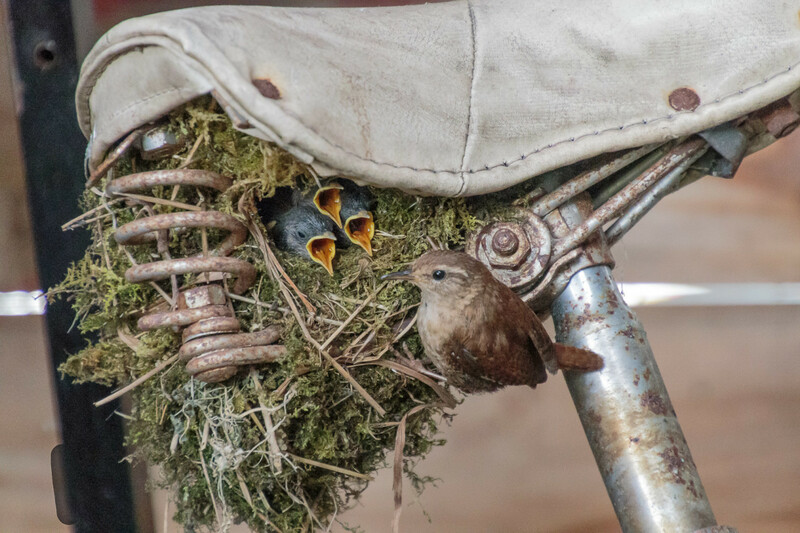 This sweet photo a Wren feeding its young after building a nest in an old bicycle was sold exclusively to the Daily Mail newspaper. We loved this photo because it was both an unusual story and lovely intimate shot. Do contact us to sell your wildlife photos. If you have a photo to sell to us call our photo hotline on 07770965756 or fill out the form on the right.